This week I am working on the pattern below called Second Hand Clothes. I had already cut out about half of the pieces, so while on vacation last week I cut out the rest of the pieces. All the fabric is from my stash and it will be great to finish this one. 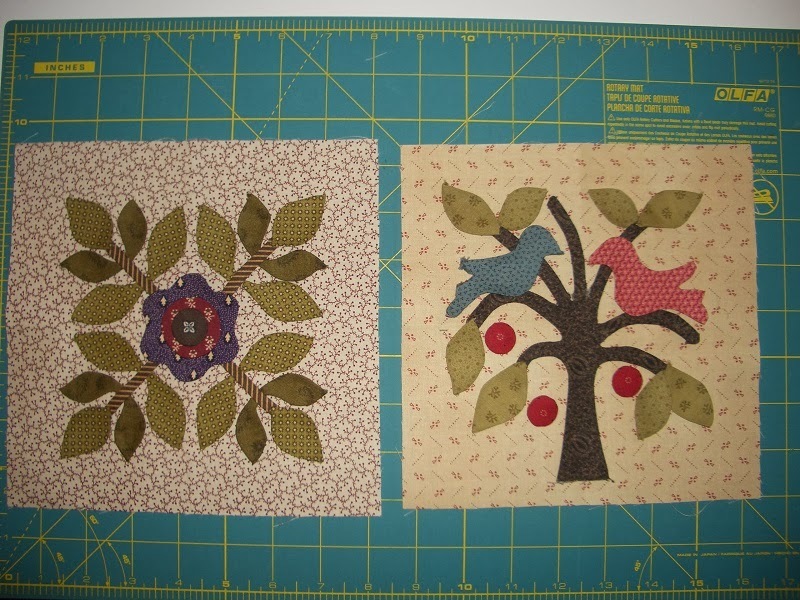 I also have the blocks below prepped and ready to hand applique down. The one on the right is actually finished and just needs a little trimming. 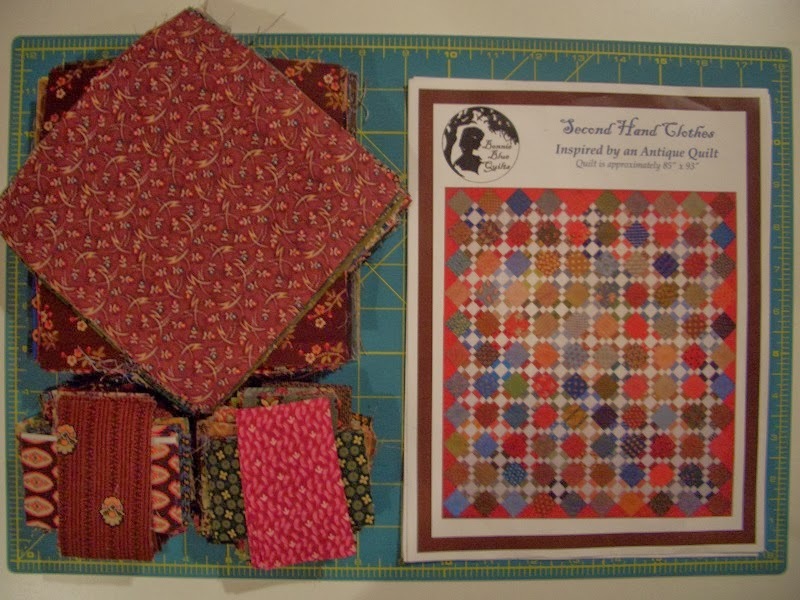 This is a block of the month from Temecula Quilt Company and I have only two more months to go! 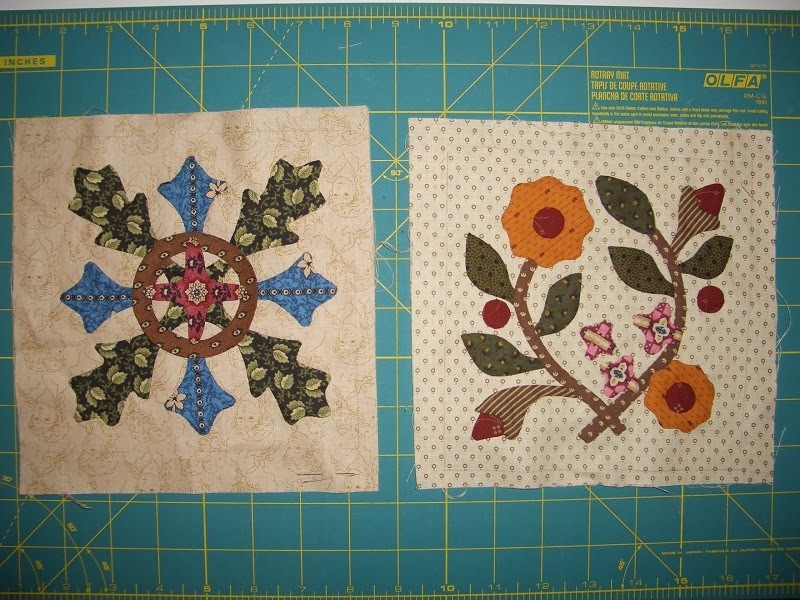 Next up I will start all the cutting for Talk'n Turkey, another Bonnie Hunter Design. Your applique work is looking terrific. If you'd told me a couple of years ago you were going to be appliqueing I'd have grinned ear to ear (yeah right). Now it seems you can't get enough :)! Hopefully Second Hand Clothes is one of your UFOs for this year. I hope you get your machine back soon to get back to Lillibet's Garden. If not you'll be happy working on all the prep'd applique blocks.